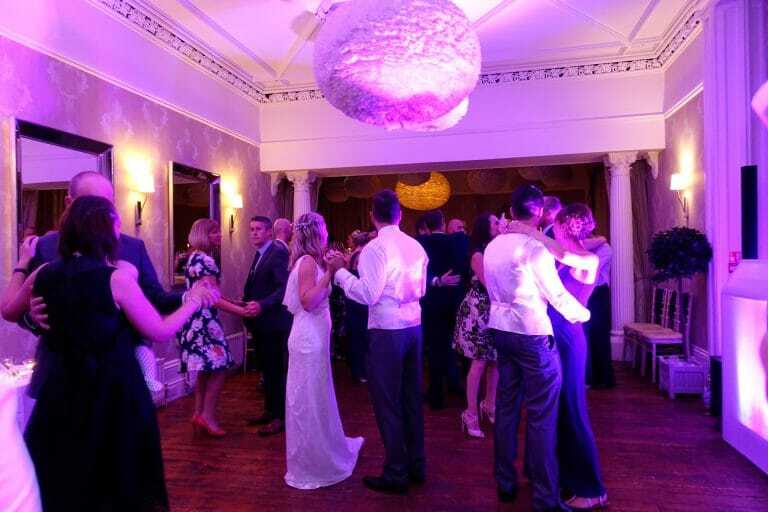 About a month ago was Chris & Sherry’s wedding day at the fantastic Falcon Manor in Settle, North Yorkshire. 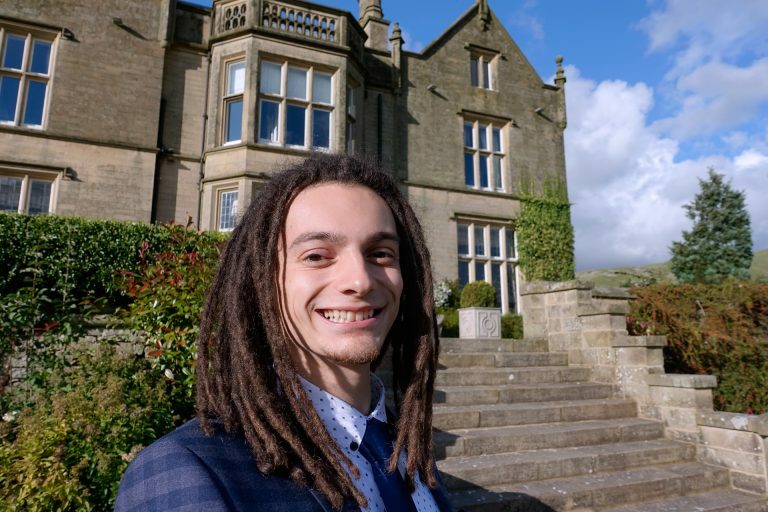 Chris had actually contacted me after seeing me perform magic whilst being filmed for the Trinity Leeds shopping centre Spring/Summer television advert… from the balcony above where I was actually performing! So we never actually met, they were just blown away by some of the magic they could see me doing to the crowd down below and searched for Leeds Magician online – finding exactly who they were looking for… me! I guess my appearance and hairstyle makes it easy to recognise me again. So I was booked in to entertain their evening guests and on arrival they were already super delayed. Fortunately, I didn’t have any other bookings later that evening and I needed to film an instructional video for our top secret online magic membership course and the grounds of Falcon Manor were the perfect location. So I told them not to worry and just to let me know when they’d finished their meal and got the speeches out of the way. 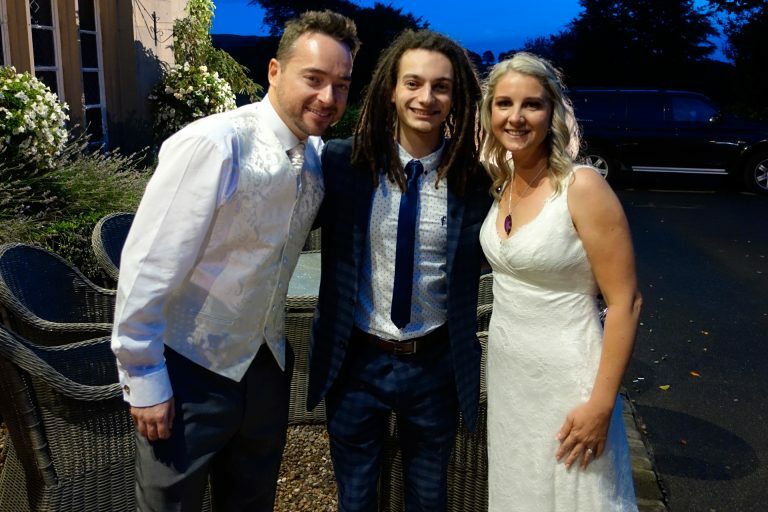 So, once I had filmed my video whilst walking around the lovely garden of the venue, the timing was about right and they were just finishing their speeches and ready for my evening wedding reception entertainment! There was only a cosy group of about 40 guests, so I kept it relaxed and tried to meet and engage every single person with some mind blowing close up wedding magic. Borrowing bank notes, jewellery and other random objects to baffle and bewilder them was so much fun and everybody was an absolute pleasure to chat to! 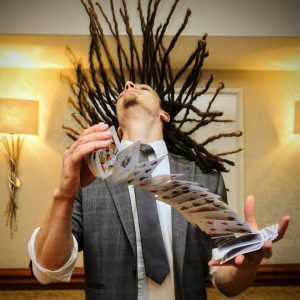 If you want to leave this kind of impression on your partner and your wedding guests – please get in touch to discuss your wedding magician requirements!